With a recovering economy, stiffer regulation and heightened competition, your organization needs exceptional leaders to drive performance and maintain their competitive advantage needed to progress. The High Performance Leadership Program can help you develop the talent it takes to succeed − from the front line to the executive suite. Professional Development Services is an employee development firm specializing in customized solutions to help businesses improve production, increase employee morale, and help leaders develop critical skills necessary to move businesses forward. We specialize in providing 360 Solutions High Performance Programs with on-line assessment tools, customized workshops and programs to help your leaders and staff become high performers. We are committed to working with you to build your teams to achieve your company goals. Professional Development Services is located in the Western Suburbs of Chicago. Call us today for a free consultation at 630-293-7071. 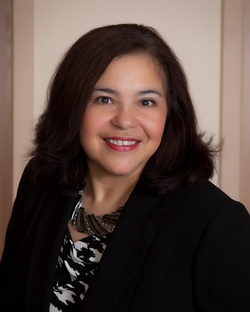 Evelyn Canabal serves as president and training facilitator of Professional Development Services. She began her career in the insurance industry and quickly focused her efforts in leadership. Her career covers 35 years of working in corporate leadership roles managing production teams, administrative groups, creative departments, and processing centers where she became successful at maximizing the effectiveness of her most important responsibility: people.